The Race Street Connector is the first example of how DRWC plans to connect Philadelphia and Old City to the waterfront and the new Race Street Pier. 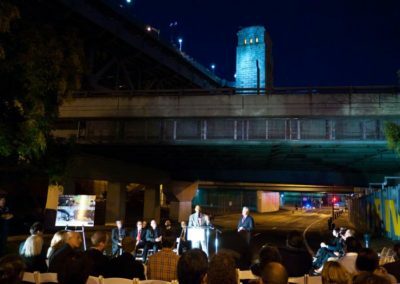 A combination of design elements will be unveiled to show connectivity to the river and to improve the pedestrian and bike experience, including a dedicated bike lane, signage, benches, bollards, curb realignments, increased sidewalk widths, crosswalks, plantings, and a dramatic light screen along the right-side wall of the underpasses. A new public art project will also be installed, entitled Marquee, an LED Work by artists Richard Tochia and Greenhouse Media. 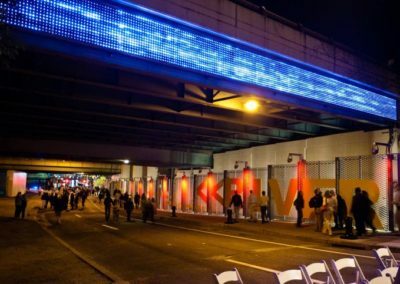 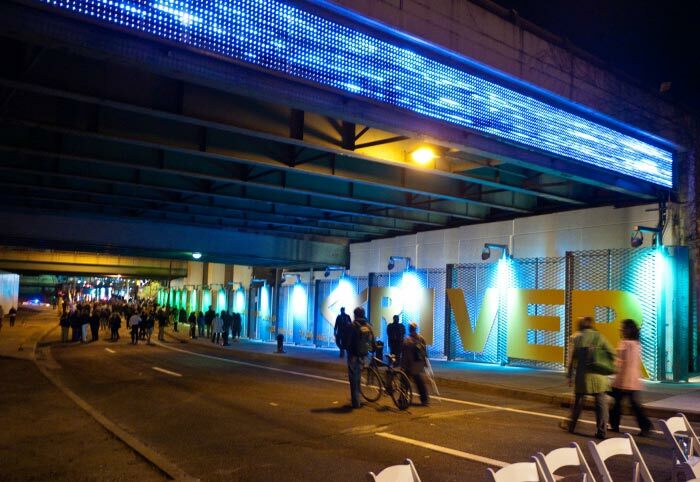 Marquee is comprised of a 60′ by 4′ horizontal LED screen mounted on the west-facing side of the I-95 overpass over Race Street in Old City. This LED screen displays live-feed images of the surface of the Delaware River, captured by cameras at the water’s edge, 24 hours a day, seven days a week. 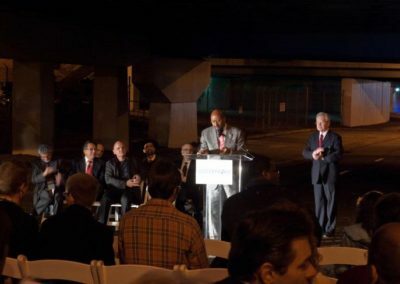 Several officials connected to the project spoke at the opening, including Philadelphia’s Mayor Nutter. 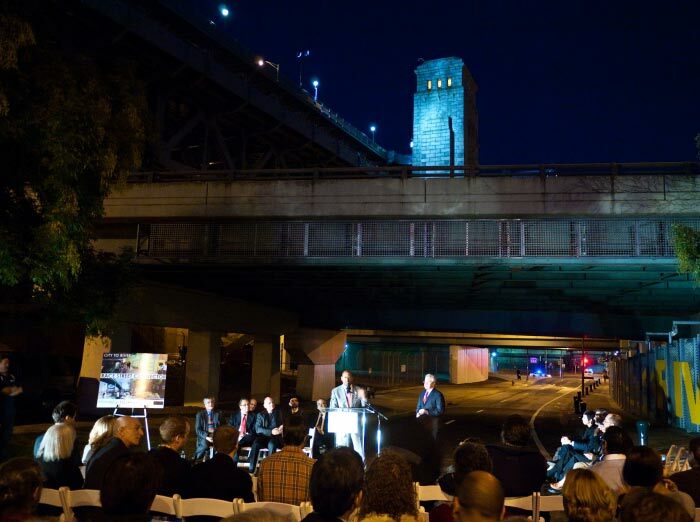 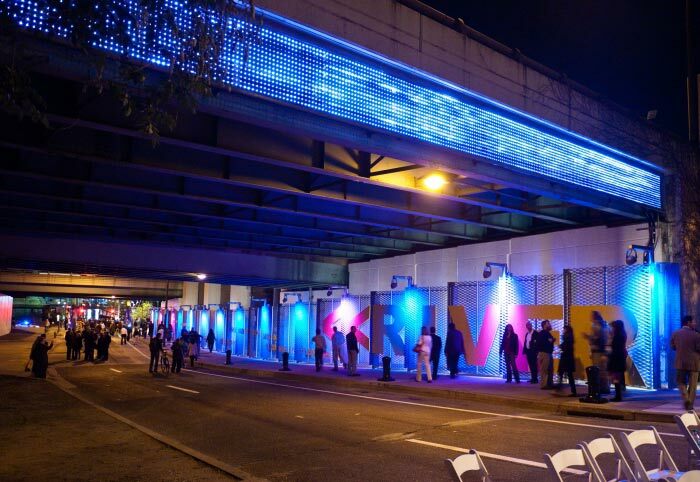 It was a pleasure to be a part of this project to improve the Race Street Connector.